Should you rethink High Intensity Interval Training (HIIT)? Today, we’re fortunate enough to have Anthony Mychal from anthonymychal.com guest post here at Reveal The Steel. Anthony’s a fantastic writer (see creds at the bottom), well versed in functional/practical training and makes my own ramblings appear on par with that of a pre-schooler. Also, his mantra ties-in wonderfully with the ‘no bullsh*t’ and ‘gimmick’ free sentiment I continually try to purvey throughout the site. Thankfully, the topic he covers today is also in-line with the methodology I preach in my own up-coming book. I consider that a WIN all-round. The public perception of HIIT is kind of like the public perception of bacon: it’s always good. But the hype of HIIT is just that: “hype.” HIIT is more scrapple than bacon. And before you condemn me, at least give me a chance to tell you about the real bacon. The good stuff. The stuff that really is awesome anytime, anyplace. America’s fitness industry was born through aerobics. Some guy named Kenneth Cooper did some lab tests and before anyone could blink, “aerobics” was the answer to every fitness question. Longevity? Do aerobics. Health? Do aerobics. Sports? Do aerobics. And then not too long ago, in the wonderful underground fitness community, people banded together and spilled their guts: they hated the boredom and time commitment that came with jogging and aerobics. High intensity interval training then became the favorite. It saved time and was said to be more effective than aerobic training. The original questions now carried a different answer. Longevity? Do HIIT. Health? HIIT. Sports? HIIT. But the transition, as a whole, was shady. The studies that claimed HIIT’s superiority? Iffy. The thought that jogging is the only form of aerobic training? Wrong. And don’t even get me started on what this has done to our athletes. The sad truth is that HIIT, despite carrying credence, is swirling with gimmicks. Losing weight is rooted in energy balance. Old thermodynamics. Calories in vs. calories out. The unfancy, unmarketable, unglorified part of getting jacked. Zealots claim HIIT as being everything from more “natural” to being better at burning calories. But take the former. 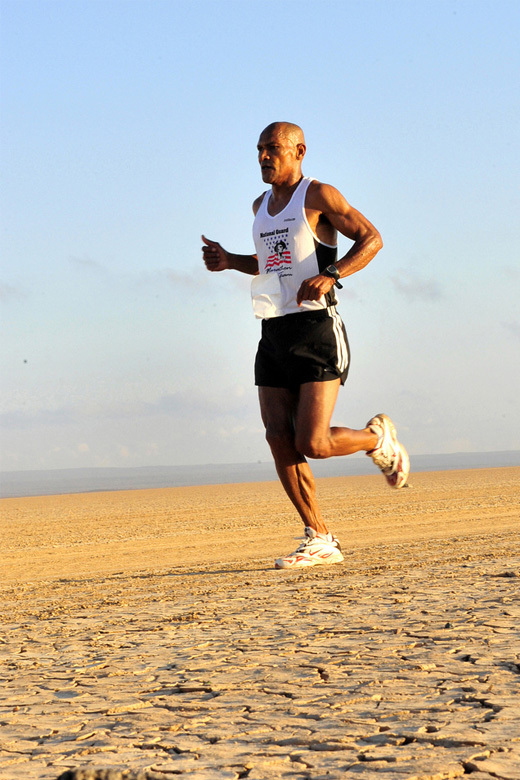 Aerobic running is crucial to the survival of a lot of primitive tribes via persistence hunting. Persistence hunting is basically wounding an animal and chasing it until it collapses because—get this—animals can’t sweat. Humans, however, can. Now, if humans weren’t “born” for aerobic activity, why would we be able to sweat? And why would the aerobic system be the most efficient energy pathway? Sure, it’s nothing more than a loose connection and a loose thought, but it throws “natural” out of the window. Does HIIT burn more calories? Losing weight is rooted in energy balance. Old thermodynamics. Calories in vs. calories out. The unfancy, unmarketable, unglorified part of getting jacked. But there are two problems with HIIT and thermodynamics in the fat battle. Let’s throw out some hypotheticals. Say ten minutes of HIIT burns 300 calories (EPOC included), and 45 minutes of brisk walking burns 200 calories. I’d say this is a fair assumption. HIIT is the clear winner here. 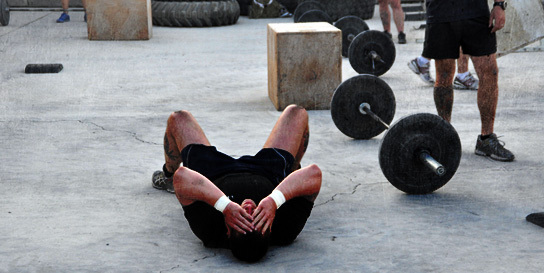 But there’s a problem: HIIT is an intense form of training, and can’t be done frequently. Basically, if you’re doing more than three HIIT sessions per week, you aren’t doing HIIT. 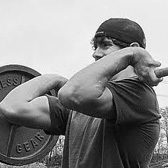 Dan John’s idea of HIIT includes Tabata intervals, a barbell, and front squats. Now that’s HIIT. And that can’t be done every day. So HIIT guys and gals train three days per week, at a hit of 300 calories per session. That’s 900 calories per week. But the walking crew goes daily at a hit of 200 calories. That’s 1400 calories. After a few weeks, the initial adaptations associated HIIT (and other forms of lactic training) level off. This is like lifting weights and hitting a wall on your program. Imagine training for five weeks and making zero progress. No more weight on the bar. No more reps. Just training for the sake of training. Well, that can be happening with your HIIT. After the first few weeks, the lactate-specific adaptations take place and the body doesn’t get as thrown out of whack. It’s like jumping in ice water. At first contact, you’re eyeballs spin on axis. But it gets easier to do with time. Of course, you can also add to the duration but then you’re kind of defeating the time perk of the method. It may seem like I hate HIIT, but I know it has uses. For instance, short and intense training sessions can boost growth hormone secretion and contribute to other goodies. What I’m fighting against, however, is using HIIT in total replacement of aerobic training, and all of the claimed shenanigans dismissing aerobic training. Because, in truth, aerobic training is the bacon. It’s good anytime and with any meal. And before you freak out, aerobic training doesn’t have to be distance running. In fact, I don’t want you to mindlessly run for distances. In order for something to be “aerobic,” the only real requirement is maintaining a respectable heart rate range. You can do fancy calculations (60-80% of 220-age) to find your individual aerobic range, or you can just shoot for 130-150 BPM. Another alternative? Tempo runs, which are essentially “low intensity intervals.” Go to a track and run at 70% max speed until your heart rate reaches the upper end of the aerobic zone. Then walk or do some low intensity exercise (push-ups, mobility work, ab work) until it recovers to the lower end of the aerobic zone. Repeat. Twenty minutes is all you need. It’s hardly the gerbil treadmill jaunting. So it’s not that I hate HIIT. But it’s hyped for the wrong reasons. The pendulum swung to it just as blindly as it swung to aerobic work. The aerobic system is the base for any other form of energy system training. A better aerobic system even means better effort during HIIT. On top of that, it’s of a low enough intensity to be done frequently, meaning your eyeballs won’t dangle from their sockets, hanging from their optic nerve. HIIT is an intense training method that’s best cycled. This maximizes its effectiveness and prevents staleness. When talking about maximal effort, having a negative work-to-rest interval (that means have a rest period less than the work period) is no joke. So it’s not that I hate HIIT. But it’s hyped for the wrong reasons. The pendulum swung to it just as blindly as it swung to aerobic work. And I know that there are a lot of “holes” here that might have you ripping your hair out. For instance, there’s no mention of EPOC—something the HIIT crowd holds dear. But I can assure you EPOC and all of the other goodies are discussed in The Myth of HIIT, which is an in depth dive into the relationship between HIIT and aerobic training. And before you think this is a cheesy sales pitch, it’s not. The book is f.r.e.e. No attached strings. No e-mail bartering. Just a link for you to click. That’s all. Absolutely free. 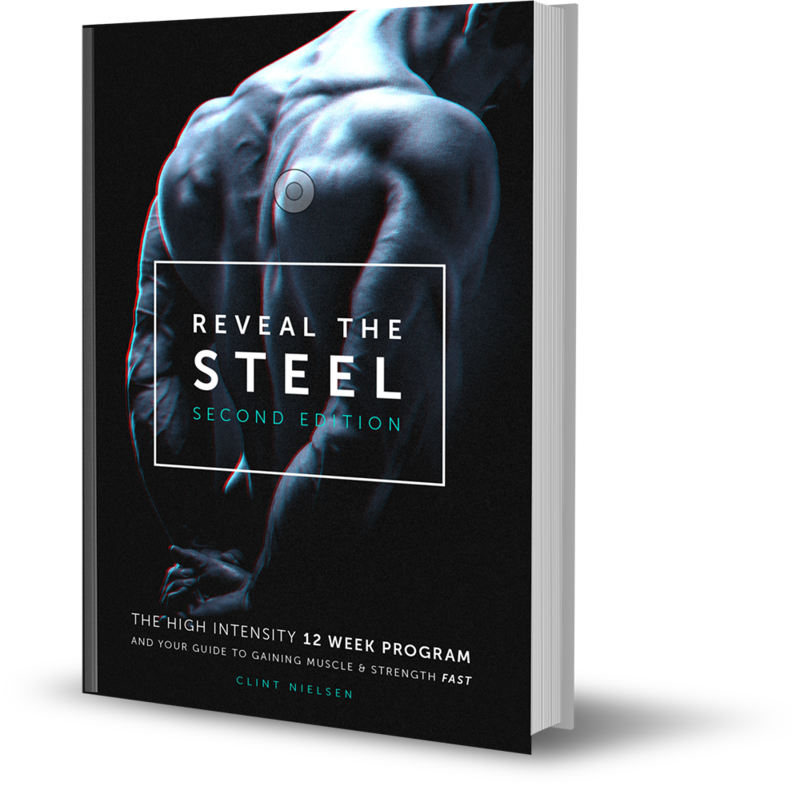 Click here to get The Myth of HIIT absolutely free. Aren’t you glad you’re one of Clint’s awesome readers? Be sure to litter the comments section below with questions, comments, and concerns. I’d love to hear your opinion. Next PostStarting out with diet and weight training. Where should a beginner 'begin'?